Zinda: According to Dr. Nimrod Raphaeli the Iraqi daily Al-Mada carried a report on 30 December 2004 about the ruins of what is believed to be the oldest Eastern Christian church, discovered in 1976 by an archeological team in the desert west of the holy Shi'ite city of Karbala. The church, known as Al-Qusair Church (or Gasser in the following article), was built in the 5th century by the followers of the Assyrian Church of the East, 120 years before the appearance of Islam and almost two centuries before the spread of Islam in what is known today as Iraq. The name Karbala may also have Syriac origins: 'Qorb' (close) and 'Alah' (God) or Qorb al'Alah (Closer to God). The theory that Assyrians inhabited Qorbalah or today's Karbala is strengthened by the fact that a village called Ninawa was once situated around this southern city. The Assyrian capital was in fact located in the north near Mosul. Interestingly, the name ‘Ninawa’ is repeated in the elegies of Imam Hussein. Karbala', 140 kilometres south of Baghdad, is one of the holiest cities in Islam. Pilgrims and interested tourists come here to pay their respects at the shrines of Hussein, the third Imam of Shi'ite Muslims, his half-brother Al-Abbas and the other martyrs who fell at the Battle of Karbala' in the seventh century. The battle took place on 10 October 680 (10 Muharram AH 61). The Imam Hussein ibn 'Ali, grandson of the Prophet Mohamed and pretender to the caliphate, together with 71 of his followers and members of his family -- including his sons and brothers -- were defeated and killed by an army sent by the Umayyad Caliph Yazid I. After the battle the women and children of Hussein's tribe were taken prisoner, shackled, loaded on camels and taken in a caravan from Karbala' to the seat of Yazid at Kufa. At the forefront of the procession, mounted on spears, were the heads of Imam Hussein and his followers. Thus was the tragic downfall of the immediate family of the Prophet Mohamed. 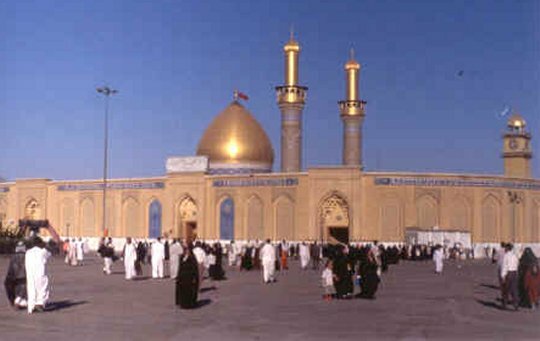 Imam Abbas Mosque in Karbala, Iraq. The battle helped secure the position of the Umayyads, but the event was a great catastrophe for Shi'ite Muslims, the followers of Hussein, among whom 10 Muharram (or 'Ashura') became an annual holy day of public mourning. But notwithstanding its place in Islamic history, Karbala', so holy to Muslims, is a holy place for Christians too. For here are the remains of the oldest church in Iraq, and this -- rather against the run of the mill -- was my destination. The small town of Karbala' is dominated by the domes of the beautiful mosques of the two chief martyrs, much embellished over the centuries by Persian craftsmen. The gilded dome of Al-Abbass glints in the sun -- extremely hot in early summer. Everything in the town reminds one of the tragedy; even the water fountains are inscribed with the words, "Drink, and remember the thirst of Hussein." The town revolves around the event, with souvenirs on sale on every corner. As soon as I arrived I asked the first Karbala'i I met about the church. His astonishment was profound. He tried to explain that I was in Karbala', where between a mosque and a mosque there was another mosque and between one holy shrine and another there was a holy shrine. He left me shaking his head in bewilderment. But I had read about the church in Karbala' Through History, written by historian Ribatt Al- Darweesh. Darweesh said the church, named Gasser, was located in Al-Ukhaider, an ancient settlement bordered on the south by Al-Razza Lake and about five kilometres from the north of Al-Ukhaider Castle. This is 20 kilometres south of Karbala'. The book said the people of the whole area had converted to Christianity in the first century. The origins of the Church of the East date back to the decades immediately following the death of Jesus Christ. While several of Christ's apostles preached in Mesopotamia, including St Thomas from 35-37 AD and St Peter in 54 AD, the Church of the East, of which the Chaldean Church is a daughter, credits its formal establishment to St Thaddeus, who preached in Mesopotamia from 37 to 65 AD. After the martyrdom of St Thaddeus his disciples continued the missionary work. From the fourth century the territory of the Church of the East became divided between the competing Roman and the Persian Empires (Mesopotamia fell under the Persians, while modern day Syria, Lebanon, Palestine, and Jordan remained under the Romans). The Persian rulers of Mesopotamia unleashed several massacres against their Christian subjects, who were suspected of sympathy with their Roman adversaries. To prevent such massacres, the Christians of Mesopotamia severed their relations with their brethren in the Roman-ruled territories and set up their own church. A thousand years later, after the collapse of the Byzantine Empire, the Roman church decided to intervene in the affairs of the unprotected and politically weak Christians of Mesopotamia and "cleanse" them of their "impure" doctrines. Its chance of establishing its own "Catholic" church among them came with a Catholic convert, Yohanna (John) Sulaqa, who was given the title of "Patriarch of Assur" by Pope Julius III in 1551 and became the first Chaldean Patriarch. His successors were later on given the title of "Patriarch of the Chaldeans of Babylon". Prior to that, all the patriarchs of the Church of the East were known by the title of "Patriarch of the Seat of St Thomas and St Thaddeus". Nowadays the Chaldean people lay claim to being the descendants of all the native people of Mesopotamia -- Chaldeans/Babylonians, Assyrians, Arameans, Akkadians and Sumerians. They belong to a nation which has thrived for 7,000 years and made an enormous contribution to human civilisation. The homeland of this ancient Aramaic-speaking nation is spread between Arab and non-Arab countries. Besides Iraq (where they make up the third largest ethnic group after Arabs and Kurds), Chaldeans are found in Syria, Lebanon and Egypt, as well as in the non-Arab countries of Turkey, Iran, Georgia, and Armenia. Today, large concentrations of Chaldeans have emigrated to America, Australia, Canada and many European countries. The Chaldean Church, a Catholic denomination, is the largest Christian church in Iraq with a membership of close to 80 per cent of all Iraqi Christians. Their liturgical language is Aramaic, the language of Christ, although as Arabic is now the common language, proficiency in Aramaic is dwindling even among priests. The Chaldean Catholic Church of today has almost 1.5 million adherents worldwide. The Diocese of St Thomas the Apostle in the US can boast more than 150,000 members with close to 100,000 in the Detroit, Michigan, area alone. Historically there has been little discrimination against Christians in Iraq either in law or practice. The lack of tension between Muslims and Christians is attributed to the responsible behaviour both of the Christians, as a small minority, and of the majority Muslim community. 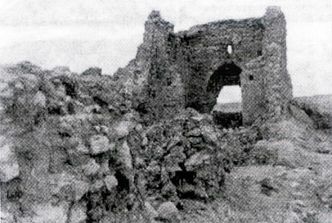 Ruins of the Gasser Church in Karbala, Iraq. So with this history in mind and history book in hand, I drove south to Al-Ukhaider, the most remarkable of the desert castles in Iraq. Al- Ukhaider was built in the second century of the Hejira and is itself well worth a visit. The street was very quiet, so I waited for several long minutes for a passer-by. At last a car came along, and the driver said what I was looking for was an old monastery where the believers said the monks has hidden themselves in the desert. They had come from the Holy Land to escape the Romans, he said, perhaps a little inaccurately (Roman persecution of Christians per se came much later, although persecution of Christians as political activists is a possibility). Whether it's a church or a monastery, I told him, just show me the way. Now I was on my may to Gasser Church. The book said it was a rectangular building, and the remains of its walls were about three to four metres high. The roof had fallen. The nave was about 40 square metres, and on the right side was an open room about five by six metres and a wall with arches where the altar was placed. The whole building was built of gypsum and rocks. There were small, arched doors and seven small windows on each side, and at the front there was a main gate. Around the church were the remains of a settlement. I stopped the car on the side of the road, not wishing to drive over the fragile and as yet largely unexcavated archaeological site. I closed the book. Walking to the site over the smooth sand, I passed evidence of ongoing excavations. At last I stood in front of the oldest church in Iraq. Superficially, I have to say, it looked like any other ruined church. More will doubtless be added to our knowledge of the site when the archaeologists have finished their work. Gasser Church will have a long history to tell. On behalf of the Assyrian Democratic Organization we extend to you and through you to the Iraqi people, our sincerest congratulations on the occasion of electing you the president of the new Iraq. We hope that you will succeed in navigating the ship of Iraq to the shores of safety, stability and prosperity in a secular, democratic, federal, diverse and unified country that will serve as a model in the region for diversity and unity, and a real home for all its sons, the Arabs, Kurds, Turkmen, Armenians and Syriac ChaldoAssyrians, all living together in a broad and beautiful mosaic picture. Mr. Jalal Talabani is the current president of the Republic of Iraq and the Secretary General of the Patriotic Union of Kurdistan. We have great confidence in you . We have always known you as a friend and a sympathizer for the causes of our people in Iraq, and a staunch supporter of the right of all minorities amongst them our Syriac ChaldoAssyrian people, whether during the period of your resistance for the freedom of Iraq or after the liberation. Moreover, we have no doubt, that in the present and the future you will abide by the same principles in defending the rights of all the Iraqis, as you have always done when defending the cause of your Kurdish people. Those who have tasted the bitterness of deprivation and injustice, are capable of understanding and appreciating the suffering and the rights of other people . We see in your election as the president of Iraq the beginning of a new era for the region. An era that will consolidate the right of citizenship regardless of religion or ethnicity and will further break the walls of separatism, discrimination or favoritism, an era of freedom, democracy and human rights. You will serve as an example, Mr. President, for those who will come after you. Your success in your mission as the president for all Iraq and Iraqis will lay the foundation for a new human and patriotic reality, a new democratic paradigm that would be followed in the future; but in case of failure, God forbid, the dream of democracy, freedom and liberation will come to an end. We are confident that you will succeed in your undertaking to rebuild a democratic, safe and stable Iraq and to defeat all forces of darkness and terror who seek to destroy the democratic experience there . Once again, our sincerest congratulation to your person, to the Kurdish and Iraqi people, wishing Iraq and Iraqis a bright future and prosperity . Mr. Talabani was born in 1933, the year in which the worst massacre in the 20th century was carried by Kurdish and Arab troops against the Assyrians in Iraq around the village of Semele in the north. Talabani began his political career in the early 1950s as a founding member and leader of the KDP's Kurdistan Students Union, under the leadership of Mustafa Barazani, father of the current KDP leader, Massoud Barazani. 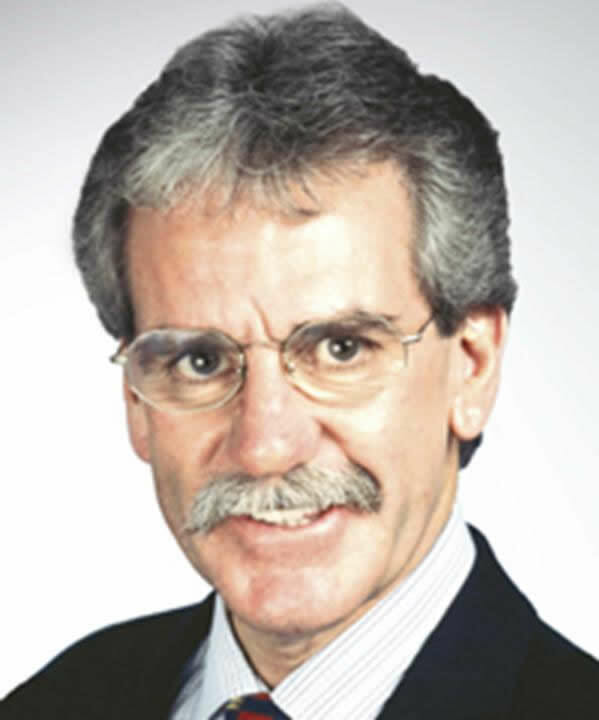 He rapidly moved up within the party ranks to become a senior member of the KDP. Mustafa Barazani, father of Massourd Barazani photoes in 1960's. In 1961, he joined the Kurdish revolt against the government of Abdul Karim Qasim. After the coup that ousted Qasim he led the Kurdish delegation to talks with President Abdul Salam Arif's government in 1963. In 1966, the group formed an alliance with the central government and took part in a military campaign against the KDP. The group was dissolved when the KDP and the government signed a peace agreement in March 1970. 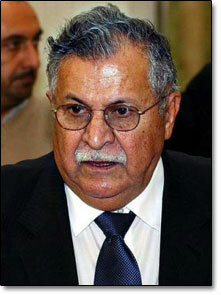 Jalal Talabani and a number of others founded the PUK in 1975. It was to be a socialist party which he said would be a break from the "tribalist" KDP. A year later it began an armed campaign against the central government. Jalal Talabani (L), president of the Republic of Iraq, and Massoud Barazani, head of the Kurdish Regional Government in north Iraq. The underlying tension between the two parties led to armed confrontation, dubbed the fratricide war, in 1994. After concerted efforts by the US and, to a lesser extent Britain, and numerous meetings between the two parties' delegations, Mr Talabani and KDP leader Massoud Barzani signed a peace agreement in Washington in 1998. The accord was further cemented on 4 October 2002 when the regional parliament reconvened in a session attended by both parties' MPs. In that session, Mr Talabani proposed that the parliament should pass a law prohibiting and criminalising inter-Kurdish fighting. Ahead of the US-led invasion of Iraq in March 2003, the two parties put aside long-standing rivalries once and for all to create a joint Barzani-Talabani leadership. 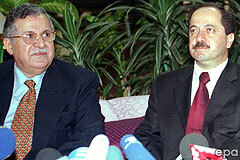 Both were later appointed to the Iraqi Governing Council, together with three other Kurds. Earlier this month Talabani was elected as the president of the Republic of Iraq, while Mr. Massoud Barzani is positioned to head the autonomous Kurdish government in the north. (ZNDA: Baghdad) The Chaldean National Congress (CNC)'s Central Bureau of Information issued a statement on 16 April regarding CNC's First Congress held in Baghdad between 15 and 16 April 2005. The CNC congress convened under the banner of "the Chaldean National Congress is a guaranteed warrant for our people's ethnic, cultural and political rights." CNC representatives from throughout the world, Chaldean Bishop and Patriarchal Vicar, Mar Shlimon Warduni, Bishop Sarhad Jammo, and several representatives from the Chaldean, Assyrian, and Syriac groups, also attended the meetings. The name 'Chaldean' be presented instituted as an original and ethnic title for the genuine and ancient Chaldean nation in Mesopotamia (Iraq).Chaldeans are free to exercise full rights in the future democratic, pluralistic, federal, and united Iraq. The Chaldean ethnic identity is recognized in the Iraqi permanent constitution and Chaldeans are recognized as one of Iraq's ethnic groups by instituting their administrational, cultural, and political rights. The spiritual role of the Chaldean Church in preserved in the social life of the Chaldean nation. Cooperation between all Chaldean political parties and organizations is promoted in order to unify the Chaldean political ideology. Collaboration with other patriotic and democratic Iraqi movements, represented by the political groups, guarantees the rightful ethnic rights of the Chaldeans. A national agenda directed at the Chaldeans is prepared to mobilize Chaldeans for the upcoming elections through the unification of the Chaldean communities. In addition, the CNC stressed the unification of the Chaldean groups and their stand and entering the elections via a single united slate. The importance of all types of media - written, heard, and seen - be noted in promoting Chaldean national awareness. The role of Chaldean woman and youth and their participation in stimulating the Chaldean patriotic activism be acknowledged. (ZNDA: Baghdad) Iraqi NGOs, representing minority ethnic groups in the country, held a two-day conference in the capital Baghdad this week to ensure that their rights are enshrined in the new constitution being drafted by the transitional government. "Through this conference, we have tried to highlight the fact that Iraqi minorities have the right to be involved in the preparation and writing of the new constitution to ensure our rights are the same as other groups such as the Muslims and Christians," said the director of the Iraqi Commission for Civil Society Enterprises (CCSE), Basel al-Azawi. The event, organised by the CCSE, came to an end on Tuesday. It resulted in the formation of a committee which will liaise with the new government to ensure that minority rights are genuinely protected under the new constitution. "Promises of participating in the new government were given from the bigger parties like the Shi'ite Iraqi Alliance, but nothing has been done so far and we are afraid that we will lose our rights when they write the constitution," a member of the Mandaean Democracy Congregation (MDC), working to protect the rights of the Mandaean community, Sameea Dawood Salman, told IRIN. Iraq consists of a number of ethnic and religious groups. According to the US State Department, 97 percent of a population of 22 million people are Muslim. Shi'ite Muslims, predominantly Arab, although some come from Turkomen, Kurdish and other ethnic origins, constitute 60 percent of the population. Sunni Muslims make up 37 percent and the remainder are Christians, comprised of Assyrians, Chaldeans, Roman Catholics and Armenians. There are also a small number of Jews, Mandaeans, who follow the teachings of John the Baptist and Yazidis, who follow a mixture of religions. It is these smaller groups, particularly the latter two and the Assyrians, which are voicing their concerns. The Yazidis live near the northern Iraqi city of Mosul, with smaller communities in Syria, Turkey, Iran, Georgia and Armenia, and are estimated to number 500,000. The Mandaeans are smaller in number at some 100,000 and live mainly in southern Iraq, according to members of both groups. Under the former Iraqi leader, Saddam Hussein, who ruthlessly promoted his Sunni brethren, a campaign of persecution against religious leaders and followers of the majority Shi'ites was carried out, as well as no acknowledgement of Assyrian, Chaldean and Yazidi groups, according to human rights observers. In addition, the minority groups were not allowed to participate in elections with their own independent parties. Following the fall of Saddam's regime in 2003 and the 30 January election, minority religious groups want to make sure that there will be no more discrimination against them. "The people from minorities who have been neglected after the [30 January] elections are some of the oldest residents in Iraq," said Santa Mikhail, a member of the Assyrian Women's Union (AWU. "We want to have a clear vision through the media and through the people who believe in our rights as Iraqi citizens and [we want] civil society foundations that care about minority rights," al-Azawi added. Some 12 local NGOs, and many university professors and researchers participated in the event. "We are part of Iraqi society, we had original roots and civilisations on this land, but we are afraid that the winners in the parliament will forget or ignore us," said the director of the Iraqi Centre for Interlocutions and Religion NGO, Khezhal al-Khalidy. (ZNDA: Tehran) A delegation from the European Parliament, headed by Ms. Angelika Beer, chairperson for the Delegation of Relations with Iran in the European Parliament, conferred with several religious minorities MPs on Sunday, including Mr. Yonatan Bet-Kolia, Majlis representative for the Assyrian and Chaldean population. Mr. Bet-Kolia referred to the several positive judicial developments regarding minorities, saying they are representing the society as a whole and minorities enjoy freedom, security and welfare. Religious minorities in Iran enjoy religious and social freedom and participate in social and economic activities, he added. Mr. Robert Beglarian, the MP representing southern Iran's Armenians pointed to the two articles in Iran's Constitution (13 and 84), saying that five religious minorities MPs are active in the Majlis. Other religious minorities MPs Mouris Mo'tamed and Kourosh Niknam, also outlined the proper co-existence between Muslims and minorities. The representatives expressed dissatisfaction over the issuance of several resolutions in the European Parliament (EP) against Iran, calling on officials to adopt serious measures to pursue the case of members of the terrorist Mujahedin-e Khalq Organization (MKO). Angelika Beer, for her part expressed gratitude over her negotiations with Iran's parliamentary and political officials, adding that the EP assesses MKO as a terrorist group. Angelika Beer is chairwoman of the German Green Party. Her interest in the Greens stems from the peace movement and the campaign against nuclear power, an issue which has brought Iran to the forefront of the global politics in the recent time. A former Green spokeswoman for defence policy in the German Parliament, she has also been highly engaged in the international campaign against landmines. She seeks to improve the European Security and Defence Policy and strengthen the European Parliament’s work in the fields of anti-discrimination and human rights. Prior to the departure of Mrs. Agnelika Beer for Tehran several petitions to the European Parliament were submitted (click here) by Iranian nationals to stress the injustices committed by the current government in Iran. Christian citizens in Iran are not recognized as equal to Moslems and do not enjoy full rights as their Moslem counterparts. (ZNDA: Melbourne) “Happy ChaldoAssyrian New Year!” friends and relatives exclaimed in Syriac as they kissed each other on this festive occasion. It was Sunday, 10th of April and today was Melbourne’s famous Assyrian-Chaldean New Year festival, which had been running concurrently for the past 3 years steadily growing in strength, support and prominence. The organisers of the event consisted of representatives from every one of Melbourne’s Assyrian-Chaldean organisations, groups and churches. Today was the day when we’d see what result months of hard work and co-operation had produced. The day’s programme consisted of a soccer competition, an outdoor concert, children’s games, an art exhibition and an indoor ceremony. I looked forward to a day of fun and entertainment. I next walked through numerous stalls that sold everything from silver Syriac letters on a chain to ChaldoAssyrian flags that had been purchased by some of the youths and were draped around their shoulders. Games and inflated jumping castles were filled with children bouncing up and down. At 2:00pm the 35 degree Celsius of the hot April day suddenly ended with the onset of a torrential downpour that sent the attendees scurrying for the cover of the hall. I found myself seated next to Maria Vamvakinou, Federal Minister of Parliament for the seat of Calwell. I asked for her thoughts about Kha B’Neesan celebrations. She stated, “I think it’s a great opportunity not only to celebrate the Assyrian-Chaldean New Year Festival but to come together and keep in touch with customs and traditions. Especially for the Assyrian-Chaldean community which is a relatively unknown community. Then at 2:30pm the time had come for the official opening, and the two MCs, Loris Mikhail and Majid Hozyah, took to the stage to begin the programme. The Australian and ChaldoAssyrian national anthems were played as the crowd rose to its feet. A film clip showing Kha B’Neesan festivities in north Iraq during the Akito celebrations of 2002, complete with narration, was shown with the background music of the famous Zorna and Dawoola. The narrator called for the unity of all our ChaldoAssyrian people around the world and the renewal of our culture and customs in the West. Following the speeches the main programme event was launched. The Fashion show had been organised by the Assyrian-Chaldean Women’s Association, through Edwina Dinkha. They had enlisted the help of ChaldoAssyrian fashion designer Heba Edward who had spent over two months designing the show and the clothes. First to stride onto the stage was Ornina Dankha wearing a purple and gold creation that Heba had titled Ishtar. She was followed by Noor Isriel wearing her Winged Bull meets Opera House creation which featured a light blue dress stencilled with a golden print. Alapbeet which was a long black dress, which featured golden Syriac letters along the hem, was the next dress to be modelled by Adorina Dankha. Next it was the boys turn to take the stage to the applause of an appreciative and youthful crowd. Sargon Warda took to the stage wearing denim jeans and a printed shirt with the words Kha stencilled across his chest. He was joined by Emanuel Daood who completed the design wearing similar jeans and shirt but with the Syriac words, B’Neesan across his chest. Rana Hirmiz wearing a strapless dark blue gown titled Ishtar Gate featuring ancient Babylonian motifs across its hem completed the show. Then in a final encore the models, both male and female took to the stage and were joined by Heba Edward, the show’s fashion designer, who was given a bouquet of flowers for her hard work and efforts. As the applause of the crowd died down a traditional dance troop of dancers wearing their traditional female costumes linked arms and danced to the beat of the Zorna and Dawoola which followed closely on their heels. They traversed the stage once and then the MCs bid the invited guests and crowd to follow the dancers and musicians outside as a traditional Akito procession led everyone to the activities outside. Outside all of Melbourne’s singers including Fiodor Nadjarian, Odisho Boodakh, Zaia Shlemon, Jalil Poulis, George Piro, Muthaffar Toma Almunhandis, Nabil Toma, Isam Wasoof and Odi Youel all took it in turns to entertain the crowd with an outdoor concert. By the end of the day the gate registered over 4,300 people who had attended the event - a great number considering the extreme weather conditions. Melbourne’s ChaldoAssyrian community had come a long way and despite external pressures appear determined to continue along the path of peace, renewal and love espoused so aptly in their Akito festival slogan. Last Sunday I was honoured to accept an invitation to celebrate the 6755 Assyrian New Year at Fairfield. This celebration commemorates the most important festival in the ancient Assyrian and Babylonian Empires. The Assyrian New Year celebrations began on the first day of Nesan, which we now know as April. Today, Assyrians all over the world celebrate this day as their national festival. It coincides with the beginning of spring in the Northern Hemisphere. This is a time when nature wakes from her winter slumber and the trees, plants, fields and flowers begin to bloom again. This represents new life, which the ancient Assyrian philosophers regarded as the act of creation. The Assyrians are a remarkable people—they were the first to accept the teaching of Jesus Christ in the First Century AD and have an unbroken link with him from when he delivered the sermon on the Mount in their native language, Aramaic, which is known in the linguistic world as the Syriac language. They come from the ancient land of Mesopotamia, which comprised what is now Iraq, Syria, parts of Western Iran and Southern Turkey. Two great cities, Nineveh and Babylon, were the capitals of their empire. Babylon was conquered by the Persians in 539 BC and Assyria fell in 612 BC. The Persian Empire fell to the Muslim Arabs in AD 637. The population of Mesopotamia was estimated to be about 8 million at the time, of whom Christian Assyrians comprised 80 per cent. The Assyrians were persecuted by the occupying Arabs and today, after 1,600 years of Arab occupation, only 2 million remain from what was Assyria and Babylonia. Many were converted to Islam and forced to deny their identity by having to refer to themselves as Arabs. More recently, in the middle of the nineteenth century, the Kurdish tribes under Badr Khan Beg massacred hundreds of thousands of Assyrians and destroyed many Assyrian villages in southern Turkey and the Northern Iraq region. These massacres continued around the end of the nineteenth century by Kurdish tribes in the same region. During the First World War and in the immediate post-war years the Turkish, Kurdish and Persian forces in Iran and Turkey committed unconscionable acts of genocide against more than 750,000 Assyrian Christians. The recent liberation of Iraq and the end of the oppressive regime of Saddam Hussein has created a unique opportunity for the United Nations to provide the dispossessed indigenous people of Iraq—the Christian Assyrians, Chaldeans, Syriacs and Mandeans—with a protected homeland. Voting irregularities in the recent Iraqi elections have caused a great deal of grief among the Christian Assyrian minority. They only have one seat in a Parliament of 275. It is little wonder they feel cheated by the current arrangements and vulnerable as an unprotected minority group. I would hope the United Nations, at the urging of the partners in the coalition of the willing—the United States of America, Great Britain and Australia—will provide a protected administrative region for the Assyrians, who are the indigenous people of this ancient land. I am currently in the process of collecting a petition from the Assyrian Universal Alliance calling on both the Government of New South Wales and our Federal Government to provide a protected administrative area for them and so prevent the inevitable mass exodus of Christians from Iraq. I have also been made aware of the contribution of the Assyrians to the allied effort in both World Wars. In 1915 they joined the Allied cause and declared war on Turkey. For two years, with logistical support from Russia, they held the enemy in check on the Eastern front and were victorious in 14 separate engagements. In 1918 the Eastern front collapsed as a result of the Russian revolution. The Assyrians paid dearly for their defiance and their gallant defence. Over two- thirds of their people were massacred in unforgivable and unforgettable acts of genocide against them. In 1921 the Assyrian forces joined a newly formed British unit in northern Iraq and were known as "the Iraqi Levies". In 1941 the Assyrian Levies, supported by the Royal Air Force [RAF], defeated the Iraqi army, which was allied to Germany. They were awarded the title "RAF" as a result of their contribution to this victory. In 1941 the Assyrian parachute company, attached to the British Royal Marine commandos, fought in Albania and Greece while the RAF Levies fought in Iraq, Palestine, Lebanon, Greece, Albania, Italy and Cyprus. The RAF Levies were proud and fearless allies in the fight for freedom against oppression. It is an interesting coincidence that their uniforms are similar to our famous Australian Light Horse units—and their fighting ability in the deserts and mountains of Iraq and Turkey was just as legendary. I acknowledge the tireless efforts of Mr Gabriel Kiwarkis, a former Australian soldier and current President of the Assyrian RAF Levies Association, for his meticulous research of their contribution to the allied victories in both World Wars. I will be supporting Mr Kiwarkis in his bid to have this contribution acknowledged with a memorial display within the Australian War Memorial. I also call on the New South Wales Government to promote the linkage of the Assyrian people with the teachings of Jesus Christ within the curricula of the New South Wales education system. All Australians should know of their important linkage to our Christian faith, of their persecution over the centuries, of their sacrifice for the allied cause, and of their proud contribution to our Australian multicultural society. I congratulate Mr Younatin Afarin, the President of the Assyrian Australian National Federation, and Mr Hermiz Shahen, the Secretary of the Australian Chapter of the Assyrian Universal Alliance, for the success of their 6755 Assyrian New Year Festival, and I thank them for their invitation to share the celebration with them. I also acknowledge the contribution of my good friends Mr Paul Azzo, Andrew Rohan and Zaya Toma for the protection of their people in Iraq and the recognition of their forefathers in the fight against oppression in both world wars. The fate of the Assyrian people under their leadership and guidance is in good hands. He came as a mystical to our land, carrying with him international sounds from Middle East, Americas and Europe. Suddenly, radio airtime filled with advertisement to his concert, as there were rumors through the grapevine. Finally, on the eve of the 13th of March, curtains unveiled, allowing the anticipated cozy crowd at the Skokie Holiday Inn to meet the man behind the sound. The crowd quickly welcomed Joseph Poles into their hearts, as did he serenade them to the sounds of Doctor Zhivago, Zorba The Greek, Fog Al Nakhil, Suddenly, and My Way. 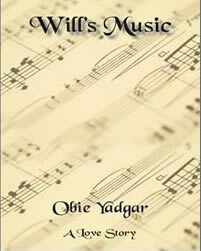 Born in Kirkuk, Iraq, and having lived in Jordan, Malta, Italy, Spain, Germany and currently residing in United Kingdom with his wife Jackelyn, Joseph Poles was destined to become an International Pianist in the Classic genre. 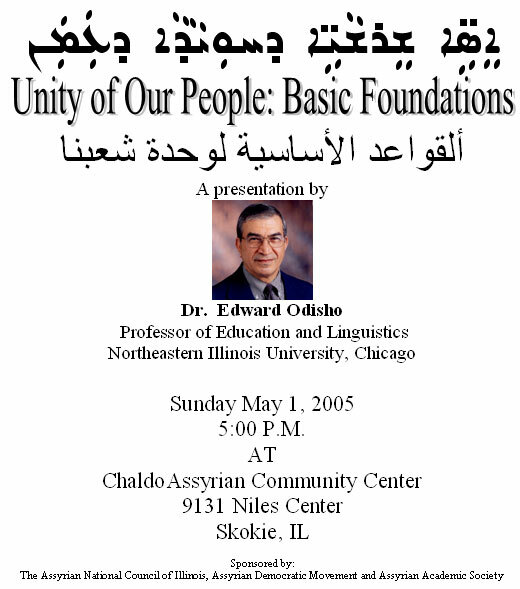 The Chicago Assyrian community, on the other hand, is anything but classically inclined. Known for its upbeat folklore dance music, they were quick to adapt to the sounds at hand in an eve that would become to be known as Romance Night. Most certainly, Joseph Poles has set precedence in sowing the seed for the restless soul to take refuge into tranquility. The event definitely changed a few views to tune their channels to a different sound wave. Zinda: : Learn more about Mr. Poles and his music click here. Parking: Please park your vehicle in the designated parking lot in the rear. Almost from the inception of the Iraqi state, exiles have tried to formulate alternatives to the currently ruling version of Iraqi nationalism. Beginning with the Ba'th party takeover in 1968, opposition groups increasingly found succor abroad, where they tried to articulate visions for Iraq's future that could transcend Iraq's crippling problems and divisions. After Saddam's fall, exiles have returned and tried to implement their views but they face considerable challenges, including resentment by those who never left Iraq. Deciding which exiles deserve a place within the new Iraqi nation will be a major step in solving the dilemmas of Iraq's contested national identity. Ten months before he was found cowering underground in a farmhouse on the outskirts of Tikrit, President Saddam Hussein vowed that he would not seek asylum abroad in order to spare his country the onslaught of an American invasion. Saddam said that he would never leave Iraq and anyone "who decides to forsake his nation" by fleeing was a traitor to the principles of patriotism. Of course, the state and the daily activity of a society are foremost in defining its national life. Only in unique circumstances can those who have left exert significant political influence at home, and even more rarely are they able to gain power. Yet even when they lack the political power to form full-fledged shadow governments, exiles can develop a critique and counter-point to the dominant existing order. Marion Farouk-Sluglett and Peter Sluglett, pre-eminent historians of Iraq, wrote in the wake of the 1990-1991 war that much of the earnest consideration of Iraq's modern history has been conducted by politically committed Iraqi intellectuals living in exile. Only in the pages of journals like al-Thaqafa al-Jadida, produced in Cyprus, and al-Nahj in Damascus, could serious "debates on the themes such as the role of the state, land reform, the Kurdish question, the Shi'i movement, or the convergence of new social classes" be undertaken. After helping persuade and assist the United States in deposing Saddam, exiles have yet to solidify a place in the new Iraq. Their role in the post-Saddam situation depended at first on whether their American sponsors believed them useful and in the future on whether Iraqis who remained at home during the Saddam era perceive these returnees as loyal. The establishment of the Iraqi state in 1921 left Sunnis, Shi'as, Kurds and Turkmens on both sides of the border. The Kurds, for example, lived on territory that was divided between Turkey, Iraq, Iran, and Syria. The travails of the Kurds, who to this day remain wary of assuming an Iraqi identity and thus can only with great difficulty be considered an "Iraqi" exile group, will be discussed only in passing. But there were also Shi'i seminarians from the shrine cities who preferred living under the protection of their co-religionists in Iran than under the Sunni Hashemite monarchy, as well as Christians who had already begun to establish immigrant pockets in New York, Detroit, and elsewhere. For the most part, the political life of these earliest diasporic groups had little relationship with the central government and scarcely a trace of "Iraqiness" at all. Still, they cannot be considered mere migrants who transplanted the centers of their cultural life to another land and relinquished their ties to the "old country." The Iraqi state, once formed, had a centripetal effect on all social groups. Even as the state persecuted, victimized, and even expelled communities in the name of its ideological commitments to unitary nationalism, these communities left vital components of their communal heritage, symbols, and institutions within Iraq; they had to negotiate ways to maintain their status as legitimate interest holders in Iraq as they lived outside its borders. 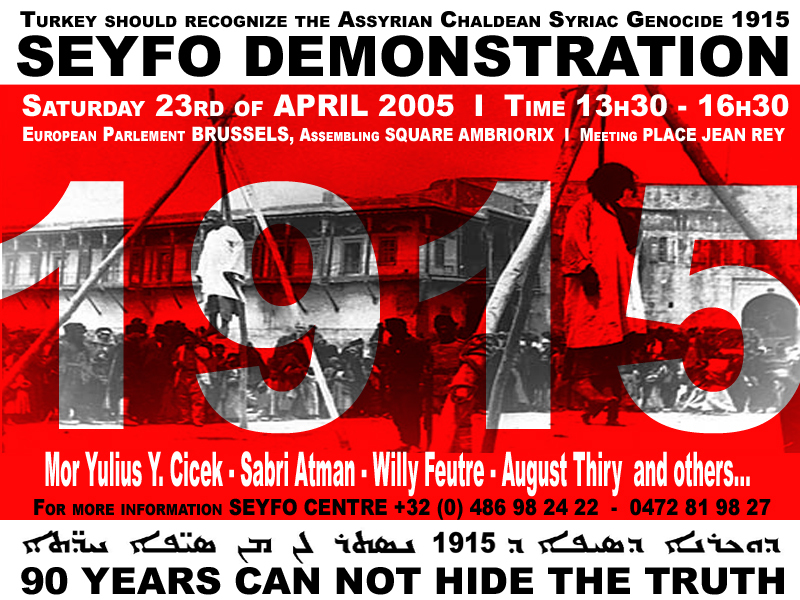 The first group to fall victim to the banner of Iraqi Arab nationalism was the Assyrians. From the beginning, the Assyrian position within the Iraqi borders was precarious. Having come to Iraq as refugees from Ottoman Turkish persecution during the First World War, the Assyrians were a non-indigenous Christian community, which the Iraqi state considered an unfortunate Ottoman and British legacy. Their collaboration and participation in the British-raised militia increased the popular view of the Assyrians as agents of imperialism. Finally, the Assyrians' demand to preserve their cultural patrimony and political autonomy under the leadership of the Mar Sham'un, head of the Assyrian church, ran directly contrary to the desire of the new Hashemite monarchy and nationalist politicians to reduce the power of traditional leaders and create a cohesive national identity. The 1933 Iraqi army assault on the Assyrians, the exile of Mar Sham'un to London and eventually Chicago, and the subsequent mass migration to the West, set forth the dilemmas that all Iraqi exile communities eventually would face. First, they had to decide whether they would identify themselves as Iraqi at all. This would bolster their claim to a patrimony in Iraq and maintain their status as legitimate interest holders in the Iraqi state, but it would also tacitly accept the legitimacy of the state that had rejected and persecuted them. A second and inter-related problem was the question of integration and assimilation in their host countries, to what extent exiles could participate in and identify with their new homes without losing their distinctive identity and thereby their claim to their old homeland. Mesopotamia is distant in time from Iraq with its present political apparatus. In a sense, it is a negation of this apparatus as it exists today. A political entity in the form of an ancient Assyrian Empire was founded in Mesopotamia. 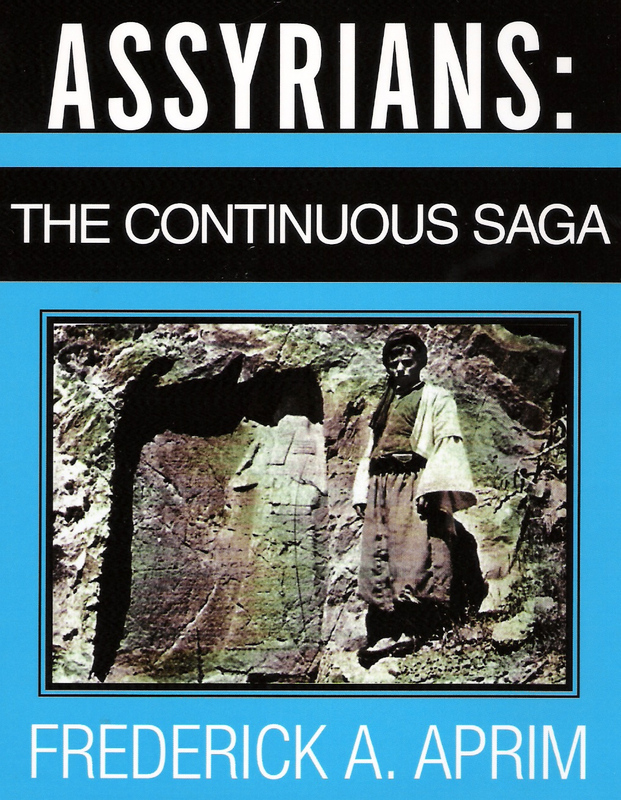 Assyrians readily identify with this entity rather than with the present state of Iraq. Ironically, this emphasis on pre-Islamic history may have brought the Assyrians to admire Saddam Hussein's attempts to elaborate a "Mesopotamian" identity for Iraq. Al-Rashid quotes from a curious article published in the Assyrian Observer (London) in 1991: "The new redevelopment in Iraq and the rise of the new Babylon, the ancient Assyrian city of science and astronomy in south Baghdad and the rebuild [sic] of the new Nineveh, the last capital city of the Assyrian Empire in north Mosul, under the direct jurisdiction of the President Saddam Hussein, are clear indication[s] of the rise of Assyria again…." Whether this statement is part of an Assyrian chiliastic tendency, viewing the horrors of the first Gulf War (1990-91) as an apocalyptic foreshadowing, as al-Rashid argues, or an expression of approval for the Ba'th regime, remains a mystery. Nevertheless, the center of Assyrian identity abroad has shifted somewhat from a territorial identity to a spiritual community. The Assyrians abroad, al-Rashid found, languish in estrangement from their homeland but are consoled by the continuity of the Patriarchy in Chicago, which is an "important element in the preservation of their identity," a symbol of unity. The Church, both as an abstract institution and as a physical facility, provides an important meeting point for the Assyrian community and seems a strong basis for the perpetuation of the Assyrian ethno-religious identity. Patriarch Mar Dinkha IV resides in Chicago but was ordained in Ealing, London in 1976. Contact between the American and British Assyrian communities is so close as to "divert" religious contact from Iraq, where another Patriarch is also installed. By acceding to the Chicago Patriarch, though, members of the Assyrian diaspora cut off an important element of their connection to Iraqi/Mesopotamian soil. In essence, they sacrificed an element of their hope for return for the benefits of added social cohesion in their new homes. The Jews were the second of the smaller minorities forced to flee Iraq. Unlike the Assyrians, the Jews were at first considered as being fully native to Iraq, forming an important part of the social fabric of many Iraqi urban centers. For example, according to some sources, in the 1920s Jews made up around half of Baghdad's population. Still, like the Assyrians, the Jews were accused of collaborating with British imperialism and with the Zionists. The Jewish exodus from Iraq came in waves proportional to the level of persecution inflicted on the community. The 1941 pogrom known as the Farhud, which resulted in the death of over 100 Jews, led many Iraqi Jews for the first time to consider Zionism as offering a possible alternative home, and consequently, an alternative identity as well. By 1951, all but 5,000-6,000 of the over 100,000 Iraqi Jews had requested exit permits. The government froze the assets and stripped away the citizenship of the departing Jews. Unlike the Assyrians, who maintained some institutional and communal presence in Iraq, the remaining Jewish institutions were much smaller, weaker, and subject to continual harassment. The Jewish attitude toward Iraqi-ness was also much more ambivalent. Jews had enjoyed a relatively high degree of success and integration in Iraqi society. Many of the older generation of community leaders, like Sassoon Kedourie, chief rabbi from 1933 to 1949 and from 1953 until his death in 1971, "walked a fine line in reassuring the Iraqi government that the Jews were loyal citizens." Detractors, especially among the younger generation, however, blamed Kedourie for being aloof and unresponsive to the needs of his community for greater protection. Unlike the Assyrians, Iraqi Jews were actively courted by an alternative identity, namely Israeli nationalism, which urged Jews to jettison their attachments to exile and "return" and "ascend" to the Jewish nation. As of today, the Iraqi Jewish (in Hebrew sometimes referred to as Bavly, meaning Babylonian) identity in Israel (as well as amongst American Jewry) exists mainly as a sort of declining ethnic sub-cultural one, but not much more. While neither the Assyrians nor the Jews are likely to play a considerable role in post-Saddam Iraq, the patterns of their exile experience remain pertinent to all subsequent exile groups. It was not until the 1958 coup overthrowing the monarchy, followed by the Ba'th party's complete assumption of political control in 1968 that the allure of the centripetal state diminished and outright opposition to the state from the diaspora emerged. The Shi'a Muslims, the largest ethnic bloc in Iraq, blatantly defied the Ba'th government. During the 1960s and 1970s, Iraqi Shi'a tried to articulate an alternative vision of Iraqi nationhood that ran entirely contrary to the Ba'th party's pan-Arab nationalism. The Shi'i ‘ulama had always been wary of the Sunni-dominated government in Baghdad but in the Ba'th they faced a group which ruthlessly pursued its totalitarian vision of a secular, Arab-oriented Iraq. Certainly, the Ba'th tried to incorporate Shi'a cultural elements, including the Shi'i "saints," into its version of Iraqi nationalism but, in practice, their commitments to pan-Arabism and to an extremely authoritarian system under the dominance of Sunnis from Tikrit precluded the integration of Iraqi Shi'a into the nationalist framework. The Shi'i opposition, as Amatzia Baram notes, tried to appeal to the entire, "Islamic Iraqi people" and draw Sunnis to their cause, but still lapsed into unmistakable "Shi'ite particularism, bordering on delegitimization" of their version of Islam. Despite Sadr's substantial efforts, his disciples failed to carry forward his campaign to forge a new nationalist alliance in Iraq in opposition to the Ba'th. With the start of the Iran-Iraq War in September 1980, the situation became even more dire. In 1982, Ayatollah Muhammad Baqir al-Hakim, a protégé of Sadr and scion of the prominent al-Hakim clan, founded the Supreme Assembly for Islamic Revolution in Iraq (SAIRI, Al-Majlis al-A'la lil Thawra Islamiyya fil‘Iraq) in Tehran. For the first time, Iraqi Shi'a openly sided with and fought alongside Iraq's arch-nemesis, Iran. [T]he collaboration with the Iranian war machine assumed an anti-national character…. Prioritizing religious identity over national allegiance, SAIRI and its allies could not reach out to their co-religionists in Iraq. Among the results of the eight-year Iraq-Iran war was the rise of popular Iraqi patriotism and its merger with etatiste nationalism. The development formed a relatively strong protective shield, which sheltered the Ba'th regime and alienated Islamist groups from the mainstream of popular sentiment…. [W]hile the Iraqi Shi'ite migrant masses used to prepare their luggage to return home in the aftermath of each and any Iranian assault on Iraq during 1982-88, during 1988-90 they carried their bags to Europe. In fact, the years 1988-90 witnessed a high and rapid exodus of [Iraqi] Shi'is, notably from Syria, seeking political asylum in Western Europe. In an effort to coerce al-Hakim to cease his anti-regime agitation, Saddam arrested, held hostage, and murdered dozens of his family members. The seminaries of shrine-cities were choked-off from the financial support of the international Shi'i community. The price of the exiles' defiance was disaster for those who stayed at home. Throughout the war, the disparate ideological visions of what Iraq was and what it should be, coupled with personal rivalries and the interference and cynical manipulation by host countries, proved debilitating for all attempts to forge a strong anti-Saddam exile coalition. The two major Kurdish groups, the Kurdish Democratic Party (KDP) and the Patriotic Union of Kurdistan (PUK), were often at odds with one another. Arab nationalist exile groups based in Damascus, like the Arab Socialist Movement and the pro-Syrian-wing of the Ba'th Party, refused to work with the Kurdish nationalists. The Iraqi Communist Party was able to ally with the Kurds, but not with the Arabs. SAIRI, relying on its safe haven in Iran, aligned with Kurdish Islamists, but did not work with the secular opposition. These differences continued to fracture the exile opposition through the first Gulf War (1990-91). After the ceasefire, Badr Brigade militias entered Basra, ‘Amara, and Kut and Kurdish peshmergas expelled government forces from the north. Six days into the revolt, on March 13, 1991, Iraqi opposition leaders in Beirut announced that they had established a joint leadership to intensify the struggle against Saddam and made provisions for a general elections and a new constitution. Just two weeks later, however, the unified front crumbled. The government repressed the rebels in the shrine cities of Karbala and Najaf and the elderly Grand Mujtahid, Abu al-Qasim al-Khoi, who had cautiously supported the rebellion, was kidnapped and forced to appear on television praising the regime. At the same time, Saddam nominated a new prime minister, a Shi'a from Karbala, as a gesture of his willingness to incorporate Shi'a into the highest political echelons (even as he purged Shi'a from the governorate, party, and military ranks). For their part, the Kurds made a separate peace with Saddam to fulfill their aspiration of self-rule. By mid-April 1991, they had begun negotiations with Baghdad to gain autonomy in the Irbil and Sulaymaniya governorates alone. The seeds of anti-Shi'a-ism in Iraq, the accusation that the Shi'a who flocked to the banner of Iraqi Communist Party were shu'ubi--Persian-lovers or self-hating Arabs--began in the 1940s. Throughout the Iran-Iraq War and into the First Gulf War, the Ba'th used this idea. Saddam harped on the themes of loyalty and national fulfillment and spared no effort to punish those he claimed had abandoned the Iraqi camp. The exiles did not muster an effective rebuttal. They themselves could not develop an alternative political community that transcended the serious ethnic, sectarian, and ideological cleavages inherent in Iraqi society. Indeed, as Baram observes, the behavior of the exiles and the underground movement in Iraq, their reliance on Iran and other countries and their sectarianism, "may have helped Saddam Husayn to convince the Iraqi public, or those who were undecided, that Iraq was indeed faced with the danger of splitting into three ‘statelets' (dawaylat)." In short, Saddam was even better able to project the vision that without his version of Iraqi nationalism (al-wataniyya) and Arab nationalism (al-qawmiyya), the country would fall apart. It was not until after the crushing defeat of the March insurrection inflicted yet further damage on Iraq, imposed harsh sanctions, and severed the Kurdish region from the whole of Iraq that new visions for Iraq began to materialize from exile. The beginnings of this vision emerged from the 1992 Vienna and Salahuddin meetings of the major Iraqi opposition groups. The meetings were convened by the newly founded, U.S.-backed Iraqi National Congress (INC). For the first time, the KDP, PUK, Da'wa, SAIRI, and leading nationalists like Iyad Allawi's Iraqi National Accord and the Constitutional Monarchy Movement, agreed that federalism was the only way to maintain Iraqi unity and still provide for the national aspirations that the Kurds had struggled so long to fulfill. An explicit (if still hypothetical) bargain was struck over just what it meant to belong to Iraq. This was an impressive step for the INC and its founder, Ahmad Chalabi, a Western-trained mathematician and banker who had fled Iraq in 1959 after the coup that overthrew the monarchy. A secular Shi'a, Chalabi hoped that by presenting a unified, secular-oriented front among the exile groups and developing an alternative leadership structure, he could overcome the U.S. reticence to overthrow Saddam's regime. But mitigating against these high hopes, all of the groups that met under the INC umbrella retained their prerogative to operate independently. Several groups refused even to participate in the conference, including the Iraqi Communist Party and the Iraqi Islamic Party, the political wing of the Iraqi Muslim Brotherhood--both prominent political parties in Iraq during the 1950s and 1960s. The first Gulf War and its aftermath also brought a crisis of identity for Iraqi exile intellectuals. In his book Cruelty and Silence (1992), Kanan Makiya took to task Arab intellectuals, including the prominent Iraqi exile poet Abd al-Wahhab al-Bayati, for being eager to render Saddam an Arab champion against the West while tolerating Saddam's heinous crimes against his own people. Makiya became a leading proponent of regime change, but other exiles accused him of being "an apologist for the new Rome," the United States, and ignoring the Iraqis who abhorred Saddam but opposed an American invasion. The 1990s inaugurated a new drive toward ethno-sectarian ecumenism among diaspora intellectuals. In April 1991, just after the suppression of the uprising, Aziz al-Samawi, an exiled poet famous for composing in the Arabic dialect of his native Diwaniya, memorialized Saddam's poison gas attack on the Kurdish village of Halabja. The attack was a crucial moment in the Kurdish cultural memory but one which had been ignored in Arab circles. Diaspora cultural life surpassed the indigenous Iraqi work in creativity and breadth. Anthologies published abroad, both in Arabic and western languages, expressly sought to reintegrate Arab, Kurdish, Christian, and Jewish writers into the Iraqi cultural sphere. Even the Ba'th could not ignore the role of the diaspora in shaping Iraqi intellectual life, with Buland al-Haidary, Lami'a Abbas Imara, and S'adi Yusuf and other poets appearing in official government publications (without, of course, mentioning their having left the country). .
Changes in the religious landscape of exile also occurred. Whereas previous waves of religiously-oriented Iraqi Shi'a came to Tehran and were radicalized by the Islamic revolution, Abd al-Majid al-Khoi relocated to London in 1994 after his older brother, an increasingly prominent ayatollah, was assassinated in Najaf. By that time there were four Iraqi Shi'a community centers, one educational center, and branches of five major political groups, including Da'wa, SCIRI, and the Islamic Action Organization, serving the 60-80,000-person Iraqi community in London. Abd al-Majid devoted himself to running the Al-Khoi Foundation (Mu'assasat al-Imam al-Kho'i al-Khairiyya), which administered the family's charitable, educational and religious networks world-wide and advocated a new strain in Iraqi Shi'a thinking, one devoted to "a liberal society with a pluralist political system." The 1990s saw a new coherence in the Iraqi diaspora community. Both in the cultural and political sphere, the Iraqi diaspora demonstrated unprecedented levels of inclusions and indeed, a turn toward liberalism. The distance grew between members of the diaspora, who increasingly found comfort in the Western political and social climate, and Iraqis in the homeland, stricken by sanctions and beset by Saddam's heavy hand. However, neither side could ignore the other. One could not sit in Baghdad discussing Iraq's cultural heritage without mentioning the now multitude of artists who were working abroad; neither could one debate territorial versus ethnic federalist systems in London without considering how such a scheme would be received by the millions of Iraqis suffering in the homeland. Many of the plans laid and bargains brokered in exile for a reinterpretation of the Iraqi national identity seemed mere abstractions once Baghdad fell in April 2003. Those who had remained in Iraq during the Saddam era resented the presumption of the exiles to rule. Abd al-Majid al-Khoi was assassinated in Najaf less then a week after his return to Iraq by forces loyal to the young radical cleric Muqtada al-Sadr. Muqtada asserted that "religious people who went into exile should not have left. The country needed them," and that only those who had persevered under the Ba'th had the legitimacy to lead the masses. Others, like Muhammad Baqir al-Hakim, killed by a car-bomb during Friday prayers in Najaf in August 2003, fell victim to an anti-American insurgency seeking to spark sectarian civil war. The exiles' American sponsors, too, came to doubt the exile's ability to garner trust, loyalty, and support within Iraq. Chalabi, once considered a favorite of the U.S. government, was dismissed in disgrace amidst accusations of fraud, misinformation, and betraying American military secrets, allegations perhaps generated due to the bureaucratic infighting in Washington. Of the twenty-five members of the interim Iraqi Governing Council (IGC), the U.S.-appointed body charged with navigating the return to sovereignty, ten were leaders of exiled movements, including Ibrahim al-Ja'afari of Da'wa and Abd al-Aziz al-Hakim of SAIRI. Others on the council, like Muwafiq al-Rubaiee, had developed liberal and independent political orientations in exile. The Iraqi Islamic party, which had resumed its underground activities in Iraq after 1991, nominated Muhsin Abd al-Hamid, a Baghdad University professor who had been imprisoned by Saddam and had never been in exile, as its delegate. [35 The attitude of some of the members toward this body, however, was ambivalent. Abd al-Hamid said almost ruefully, "We did not [bring about] the occupation and did not consent to it, but our entry to the Governing Council was a necessity to fill the void and defend the rights of the Iraqi people….We do not participate as sectarians, but…there are Shi'a and Sunnis, and it was necessary to truly represent the Sunni people, making obligatory this entry [into the Council]." The IGC proved a forum for the reappearance of many of the divisions which had hampered the exiles during the Saddam era. During the drafting of the Transitional Administrative Law in February and March 2004, the Kurds appeared less wedded to the idea of remaining within Iraq and the Shi'a, responding to the demands by the Grand Mujtahid Ali Sistani not to allow Iraq to be divided, appeared close to reneging on their promise to provide the Kurds real autonomy. Even Chalabi joined the other Shi'a in holding out until the last minute before acceding to the Kurdish demand. This was the worst crisis in the relationship between the two key constituencies of the exiled anti-Saddam front since 1992. Faced with the possibility of exercising real power in Iraq, ideological and personal rivalries reemerged. The make-up of the transitional government, sanctioned by the US, the UN, and Ayatollah Sistani, continued to highlight the importance of exiles in Iraqis future. The two top officials in this government, Prime Minister Iyad Allawi and President Ghazi al-Yawir, had both been in exile. As ceremonial head of state in a period of inchoate legitimacy and societal chaos, Yawir has a position that is particularly crucial. The Sunni scion of a prominent mixed Sunni-Shi'i tribe, Yawir took pains to show that he is above ethnicity, stating, "my tribe is Iraq and the sons of my tribes are the Iraqis." The return of the exiles to Iraq introduced a new cleavage into an already heterogeneous national polity, between those who had spent time in the diaspora and harbored intentions to alter radically concepts of Iraqi citizenship and those who felt their endurance in the homeland during the periods of dictatorship, war, and sanctions, proved their greater allegiance to the nation. Not surprisingly, exile leaders led the effort to readmit those who had lost their citizenship rights. Article 11 of the Transitional Administrative Law specifically annulled the Ba'th Regional Command Council's 1980 Decision Number 666 that stripped the citizenship of those considered to be of Iranian origin. The article goes on to say that "any Iraqi whose Iraqi citizenship was withdrawn for political, religious, racial, or sectarian reasons has the right to reclaim his Iraqi citizenship" and that dual citizenship was permissible. Those who rejected the legitimacy of the new government also question the loyalty of exiles and their claim to a place in the new Iraq. Much of this resistance comes from Sunni Arab groups who remain suspicious of Shi'a claims to be fully Iraqi, considering their connection to Iran. The United Patriotic Movement, one of the first Sunni groups to emerge in opposition to the occupation, proposed that the presidency of the Iraqi republic be limited not only to citizens of Iraq, but also to those who could prove that both their parents were citizens. Such a clause would have maintained the discrimination against those considered of Persian lineage encoded in Article 66 of the Ba'th Party's 1968 Interim Constitution. Additionally, it could potentially continue the disenfranchisement of those who the Ba'th had stripped of citizenship in the 1960s. The Muslim Ulama Council, another leading Sunni opposition movement, echoed this sentiment in an open letter to UN envoy Lakhdar Brahimi on the obstacles to implementing elections. They complained of the entry of hundreds of thousands of individuals into the country, "all the riff-raff" [kul min hub wa' dub] from the neighboring countries who claim that they were banished by the former regime." Clearly, there are strong political motivations for Sunnis especially to be wary of any attempt to reincorporate exiles--many of whom are Shi'a and Kurds who were pushed the periphery by the Ba'th's concept of nationalism--into the polity. This suspicion was not limited to the Sunnis, however. As a spokesman for Muqtada al-Sadr complained of the exile parties, they "represent foreign interests. They do not represent the Iraqi people." Another Shi'i sheikh, Faith Kashif Ghitta, who had spent five years in Saddam's prison, said that "the exile parties are going to eat the entire cake. Their parties got what they wanted--they got to control the Governing Council, the national conference, and they're going to control the new parliament." This new cleavage has increased in salience as the country prepared for January 31, 2005 elections to the constitutional assembly. Grand Ayatollah Sistani and Kurdish leaders demanded that the two to four million Iraqi expatriates be allowed to vote from abroad. A representative of the Da'wa warned that without expatriate voting, "the Shi'a might withdraw completely. That's a serious threat. We said, ‘If you don't include those votes, you're pushing us to the red line.'" Again, this stance mixed pragmatic political consideration and ideological convictions. Allowing diaspora members to be counted at the polls would certainly add to the electoral strength of the Shi'a and Kurds, but it is also part of an effort to deny Saddam the ability to determine the boundaries of the Iraqi polity. In contrast, Sunnis complain that this policy on diaspora voting would further dilute their electoral power. Some pointed out that it would allow the earliest Iraqi exiles--Assyrians and Jews, who adopted Israeli, British, or other citizenship--to exercise electoral power in the new Iraq. Such a step would have been anathema to many Iraqis, in the diaspora and in the homeland alike, who consider the best hope for their nation to be based on an Arab-Islamic identity. Ultimately, the Iraqi electoral commission acceded to Sistani's demands and contracted with an international non-governmental organization to set up registration and polling stations in the Australia, Canada, Denmark, France, Germany, Iran, Jordan, Sweden, Syria, Turkey, the United Arab Emirates, the United Kingdom, and the U.S. Still, there was recognition that limited number of polling stations were insufficient to permit every Iraqi living abroad who met the criteria set by the commission--being eighteen years of age and having proof that you or your father had once been an Iraqi citizen--to vote. Levels of participation differed widely from country to country, but world-wide less than nine percent of the eligible voters cast ballots. In Germany, Sweden, Denmark, Canada, and the Netherlands, expatriate Kurds and Shi'a turned out in large numbers to support the combined KDP-PUK list and Ayatollah Sistani's Unified Iraqi Alliance (UIA) list, respectively. Not surprisingly, Iraqis living in Iran also strongly supported the UIA. However, turnout rates were considerably lower in France, Australia, Britain, and the U.S., with only around one in ten eligible Iraqis participating. Only a handful of Israelis of Iraqi origin traveled to Amman to cast ballots, more out of a sense of nostalgia and ethnic pride than a hope to affect the electoral outcome. Turnout among the Assyrians was higher, with the Nationalist Mesopotamian list taking seven percent of the total out of country vote. Perhaps most troubling was the extremely low level of turnout by the large Sunni expatriate communities in Jordan, Syria, and the UAE. Despite the Jordanian monarchy's urging of Iraqi expatriates to participate in the election in order to legitimate the new government, many in the diaspora bowed to the demands of prominent organizations in the homeland, like the Muslim Ulama Council, to boycott any election conducted under the shadow of occupation. The challenge to Iraqi exiles in many ways has mirrored that of Iraqi nationalism. Just as all Iraqi leaders, from King Faisal I to Saddam and now to Iyad Allawi, had to mobilize support from relatively broad sectors of Iraqi society, exiles, too, struggled to formulate a version of Iraqi nationalism that transcended class and especially ethnic cleavages. The exile experience opened avenues to cultivate such alternatives--some based on class, some on Islam, some on liberalism, some on balancing the ethnic identities which were presumed to doom any attempts to build a sense of "Iraq." However, the same phenomenon also increased the difficult of having these visions accepted in the homeland. The current conflict in Iraq continues along many dimensions, but the struggle between those who nurtured visions of Iraqi community in exile and those who see such attempts as interloping is crucial. Saddam Hussein's interview with Dan Rather, February 26, 2003, http://www.cbsnews.com/stories/2003/02/26/60II/main542151.shtml. Marion Farouk-Sluglett and Peter Sluglett, "The Historiography of Modern Iraq," American Historical Review, Vol. 96 (1991), p. 1400. Yossi Shain and Ariel I. Ahram, "The Frontiers of Loyalty: Do They Really Change?" Orbis, Vol. 47, No. 4 (Fall 2003); Yossi Shain, The Frontier of Loyalty: Political Exiles in the Age of the Nation-State (Ann Arbor: University of Michigan Press, 2004). Liora Lukitz, Iraq: The Search for National Identity (London: Frank Cass, 1995), pp. 22-33. Madawi al-Rasheed, Iraqi Assyrians in London: The Construction of Ethnicity (Lewiston, New York: Edwin Mellen Press, 1998), pp. 112-3. Amatzia Baram, Culture, History, and Ideology in the Formation of Ba'thist Iraq, 1968-89 (New York: St. Martin's Press, 1991). cited Al-Rasheed, Iraqi Assyrians, p. 146. Al-Rasheed, Iraqi Assyrians, pp. 185-6. Nissim Rejwan, The Jews of Iraq: 3,000 Years of History and Culture (Boulder: Westview, 1985), pp. 210-6. Nissim Rejwan, The Jews of Iraq, p. 227. Nissim Rejwan, The Jews of Iraq, pp. 247-8. Reeva Spector Simon, "Iraq," in R. Simon, M. Laskier, and S. Reguer (eds.) The Jews of the Middle East and North Africa (New York: Columbia University Press, 2003), p. 357. Arnold Lewis, "Phantom Ethnicity: 'Oriental Jews' in Israeli Society," in Alex Weingord (ed), Studies in Israeli Ethnicity: After the Ingathering (New York: Gordon and Breach Science Publishers, 1985), p. 144. Cited in Baram, "The Radical Shi'i Movement of Iraq," p. 143. Amatzia Baram, "The Radical Shi'i Movement of Iraq," in David Menashri (ed. ), The Iranian Revolution and the Muslim World (Boulder, CO: Westview Press, 1990), pp. 141-145; and David McDowall, A Modern History of the Kurds (New York: I.B. Tauris, 1997), p. 330. Amatzia Baram, "Two Roads to Revolutionary Shi'ite Fundamentalism in Iraq," in Martin E. Marty and R. Scott Appleby (eds. ), Accounting for Fundamentalisms: The Dynamic Character of Movements (Chicago: University of Chicago, 1994), p. 566. Faleh A. Jabar, The Shi'ite Movement in Iraq (London: Saqi, 2003), pp. 235-8, 253-4; Baram, "Two Roads to Revolutionary Shi'ite Fundamentalism in Iraq," p. 549. Jabar, The Shi'ite Movment, pp. 254-5. Juan Cole, "The United States and Shi'ite Religious Factions in Iraq," Middle East Journal, Vol. 57, No. 4 (2003), p. 550. Robert G. Rabil, "The Iraqi Opposition's Evolution: From Conflict to Unity?," Middle East Review of International Affairs, Vol. 6, No. 4 (2002), http://meria.idc.ac.il/journal/2002/issue4/jv6n4a1.html. Michael G. Gunter, The Kurds of Iraq: Tragedy and Hope (St. Martins: New York, 1992), pp. 59-61; Helana Cook, The Safe Haven in Northern Iraq (Human Rights Center: University of Essex, 1995), p. 30. Yitzhak Nakash, "The Struggle for Iraq," Dissent (Summer 2003). Baram, "The Radical Shi'i Movement of Iraq," p. 147. Rabil, "The Iraqi Opposition," n.p. ; Uriel Dann, Iraq Under Qassem: A Political History, 1958-1963 (London: Pall Mall, 1969). Kanan Makiya, Cruelty and Silence: War, Tyranny, Uprising, and the Arab World (New York: W.W. Norton, 1993), pp. 253-6. Sinan Antoon, "Dissident or Apologist?," The Nation (February 3, 2003). Salih J. Altoma, "Iraqi Poets in Western Exile," World Literature Today, Vol. 77, No. 3 (2003); "Mountain of Dreams" in Daniel Weissort (ed.) Iraqi Poetry Today (ed.) (King's College: London, 2003); Alex Bellem, "The Blind River: Self and Anxiety in Aziz al-Samawi's Poetry," Arab Studies Quarterly, Vol. 19, No. 4 (1997). Mahmoud Saeed, "A Legacy of Ruins: Iraqi Letters and Intellectuals Under Saddam's Regime," Al-Jadid, Vol. 9, Nos. 42/43 (2003), http://www.aljadid.com/features/0941saeed.html. See also Daniel Weissbort and Saadi A. Simawe (eds.) Iraqi Poetry Today (King's College: London, 2003), and the two volume anthology Mir Basri (ed. ), A'lam al-Adab fi'l 'Arak al-Hadith [The World of Literature in Modern Iraq] (London: Dar al-Hikma, 1994). Compare these to Yaseen Taha Hafis (ed. ), Modern Iraqi Poetry (Baghdad: Dar al-Ma'mum, 1989). Cole, "Shi'ite Religious Factions in Iraq," p. 549. Jens-Uwe Rahe, "Iraqi Shi'is in Exile in London," in Faleh A. Jabar (ed. ), Ayatollahs, Sufis, and Ideologues: State, Religion, and Social Movements in Iraq (London: Saqi, 2002), p. 214. Basil Al-Naqib, Mujas al-barnamaj al-libralili li'-'arak al'mustaqbal [Outline of the Liberal Program for the Future of Iraq] (London: Dar al-Hikma, 1995). Quoted in Cole, "Shi'ite Religious Factions in Iraq," 557. See the BBC News, "Iraqi Governing Council Members," http://news.bbc.co.uk/2/hi/middle_east/3062897.stm. "Interview with Dr. Muhsin Abd al-Hamid," Al-Mujtama'a (Kuwait), February 14, 2004. Al-Hayat (Internet Version) in Arabic, June 3, 2004. This interview was given jointly to Al-Hayat and Al-Mada. "Iraq's Transitional Administrative Law," Washington Post, March 8, 2004. A.D. Ahmad 'Ubayd al-Kubaysi, Al-Haraka al-Wataniyya al-Muwahhada, Nida Raqm 1 (no place, no date). For a detailed description, see Amatzia Baram, Mosque-State Relations in Iraq (Washington DC: United State Institute of Peace, forthcoming). For a text of the letter, see Al-Mujtama'a (Kuwait), February 6, 2004. Mohammad Bazzi, "Feuding Interests of National Conference," Newsday (New York), August 1, 2004. Edward Wong, "Iraqi Officials to Allow Vote by Expatriots," New York Times, November 5, 2004; Al-Sharq Al-Awsat (London), April 1, 2004. Conference on Iraqi Out of Country Voting Program, Washington DC, January 11, 2005. Iraq Out of Country Voting Program, http://www.iraqocv.org. Shachar Smooha, "How I touched base with my roots and helped bring democracy to the Middle East," Ha'aretz Magazine [English Edition], February 6, 2005.http://www.haaretz.co.il/hasen/pages/ShArtVty.jhtml?sw=iraq&itemNo=536265. Az-Zamman (London), February 1, 2005. Zinda: Ariel I. Ahram is a doctoral candidate in the departments of government and Arab studies at Georgetown University. He wishes to thank Osama Abi-Mershed, Amatzia Baram, and Yossi Shain for their assistance with this paper. This article is reprinted from Middle East Review of International Affairs (MERIA) Journal [Volume 9, Number 1, March, 2005]. Copyright MERIA. For a free subscription to MERIA, write gloria@idc.ac.il. To see all MERIA publications, click here. To see the work of MERIA's publisher, the Global Research in International Affairs (GLORIA) Center, click here. Special thanks to Keren Ribo at the GLORIA Center. (ZNDA: Södertälje) It has been 2,600 years since the world lived in fear of the mighty kings of Assyria. But that does not stop Melek Bisso from proclaiming the empire's return as he stands by a rain-sodden football pitch south of Stockholm. 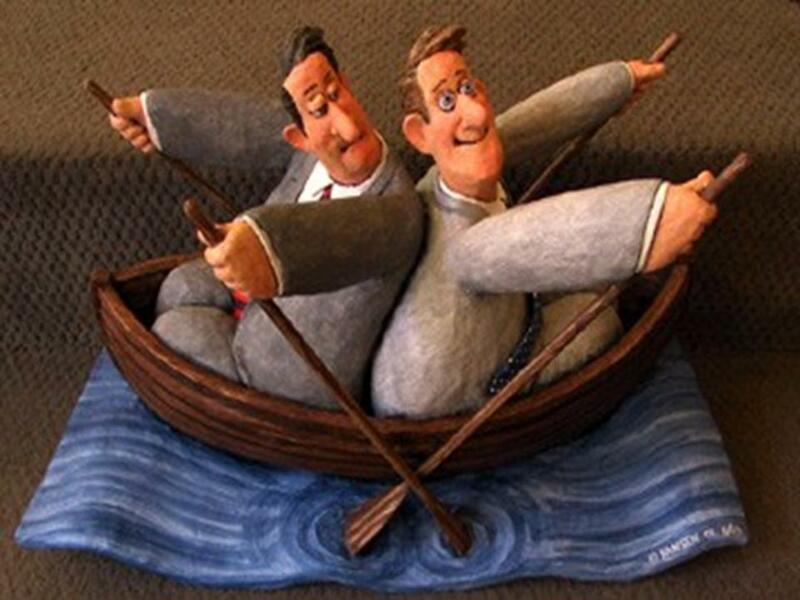 'Go boys, go. Technique is in your blood,' shouts the club chairman as his army in shinguards is put through a training session. Even before it is played, today's away match against IFK Gothenburg in the Swedish premiership is a masterstroke of Mesopotamian courage. Thirty years ago Assyriska FF were a bunch of refugees who played football between shifts at the Scania truck plant. Now they are in the premiership - which is played in a summer season that has just begun - and their host town, Södertälje, has grudgingly conceded that its footballing pride is in the hands of 'the immigrants' team'. 'The council has been very slow to respond to our success,' said Bisso, who played for Assyriska from 1976 to 1984. So the club have started their first top-flight season without a home ground. It is being upgraded and will be ready for their last match of the season in October. 'Södertälje has long been an ice hockey and basketball town,' said Bisso. 'The [last] local football team went bankrupt in 1992 and we were not seen as a vote-winner.' Yet six government ministers turned up wearing Assyriska's red-and-white colours when the team played their first premiership match last Tuesday at Sweden's national stadium, Råsunda, against Hammarby. Enthusiasm among local people is mixed, however. 'Of course they are our team. I first asked Father Christmas for one of their jerseys when I was three,' said Fredrik Sonntag,18, an ice-hockey player. His friend Jimmy Albihn, 19, said: 'Assyriska's fans came and made a noise for the ice hockey team so we will support them all the way. But taxi driver Pertti Salonen was less charitable. 'Södertälje's real pride was Björn Borg,' he said. 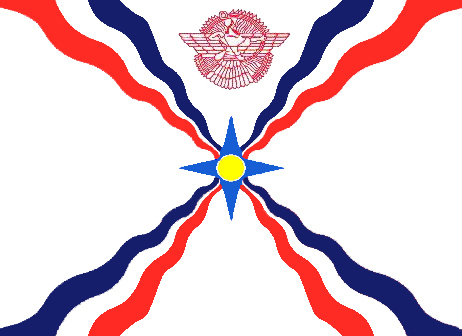 The crest of the players' jerseys is based on the Assyrian flag - a sun within a four-pronged star. Asserting the identity of the community, which has three Syriac Orthodox churches in Södertälje alone, remains a major objective. 'Our success is a great gift. We have been persecuted for centuries and there has been silence about us in the history books,' said Tasci. But footballing success has not come without some concessions. 'In 1990,when we reached division three we decided to admit non-Assyrians. It was a tough decision but it was the right one. We are now the biggest sports club in the region, with 30 youth teams, including three for girls, and 500 players. The players at the training session in a village 30 kilometres (about 19 miles) from Södertälje, include Serbs, a Bosnian and Portuguese coach José Morais. 'We are southern, warm-blooded people who like to run with the ball. It's good to have a couple of solid Swedes at the back. We haven't had an Assyrian goalkeeper since 1987,' said Tasci. Södertälje's Social Democrat mayor, Anders Lago, who claims the local council has done as much as it can for the team, believes Assyriska has 'a good chance' of avoiding relegation, principally because rival teams may underestimate them. That is a mistake that the Assyrians themselves have been taught by history that they must never do. In about 700BC, their King Esarhaddon conquered Syria, Palestine and Egypt. With the spoils of his campaigns, he expanded his capital, Nineveh, near the present Iraqi city of Mosul, and built himself a fabulously expensive palace. Then, however, Babylon and Syria revolted and Egypt declared its independence - teaching Assyrians a lesson not lost on today's footballers of Assyriska.